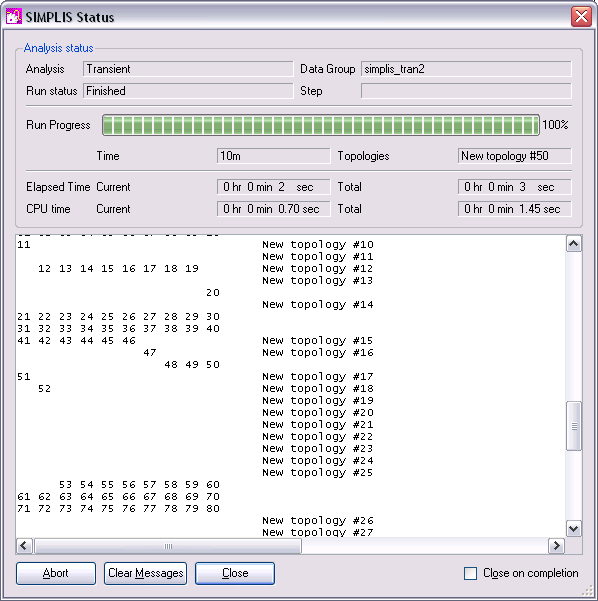 SIMPLIS runs as a separate process but communicates with SIMetrix while it is running to provide information on the progress of the run. This progress is displayed in the SIMPLIS Status Window as shown below. The message window shows some detail about the progress and is similar to that displayed in earlier versions without the status window display.